Marc DeJager is a member of the Young Leaders Program at The Heritage Foundation. 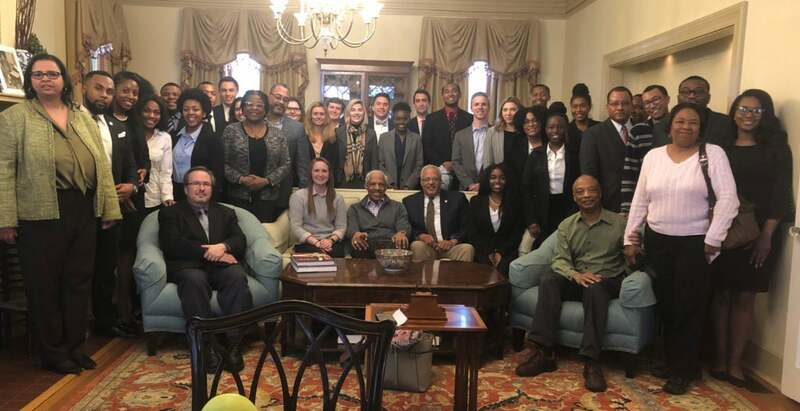 Early in the morning last Saturday, a group of 12 Heritage Foundation interns (including myself) boarded a bus bound for Holly Knoll, the manor house of Robert Russa Moton. Most of us had never heard of Moton before. This is unsurprising, as he was “the forgotten civil rights leader,” in the words of professor Brian McGovern of Rappahannock Community College. We disembarked from the bus into a steady rain at Holly Knoll, and quickly hurried inside to hear from McGovern about the life and accomplishments of Moton. 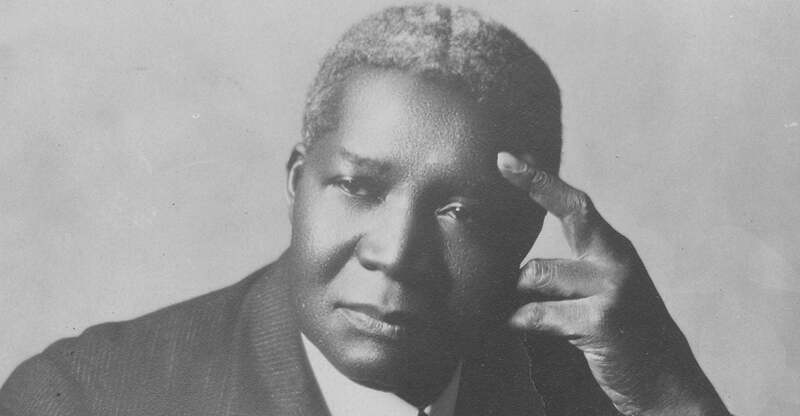 Moton is arguably the most important African-American leader of the early 20th century. Both his parents had been slaves. His mother taught him to read, and he was determined to become an educator. He graduated from the Hampton Institute in 1890—a historically black college in Virginia—and was immediately offered a position there as a teacher. There, he served until 1920 when, upon the death of his friend and fellow civil rights activist Booker T. Washington, he was named principle of the Tuskegee Institute, another historically black university. Moton was a staunch advocate for the strategy of accommodation in civil rights, believing that black Americans should show their white neighbors that they deserve to be treated equally through exemplary achievement and responsible lifestyles. In 1922, President Warren Harding invited Moton to serve as the keynote speaker at the dedication of the Lincoln Memorial. Moton agreed, but the first draft of his speech was rejected. In it, he had written that if the oppression of black men and women in America continued, Lincoln’s memorial would be a “hollow mockery” of what he and many thousands of Americans had died for. Many historians believe Moton’s speech at the dedication ceremony marked the clear birth of the civil rights movement of the 20th century. After hearing about the life of Moton, we then received a brief tour of the preserved Moton estate. The house was striking to say the least. The three-story Georgian manor house overlooks the York River, and The Gloucester Institute has beautifully preserved it. The Gloucester Institute still uses Holly Knoll to host guest speakers and other important visitors. The small stone bench behind the house, which overlooks the river beneath the spreading oak tree, is where Martin Luther King Jr. wrote portions of his “I Have a Dream” speech, according to legend (although this cannot be historically confirmed). The honorable Kay Coles James, president of The Heritage Foundation, founded The Gloucester Institute. 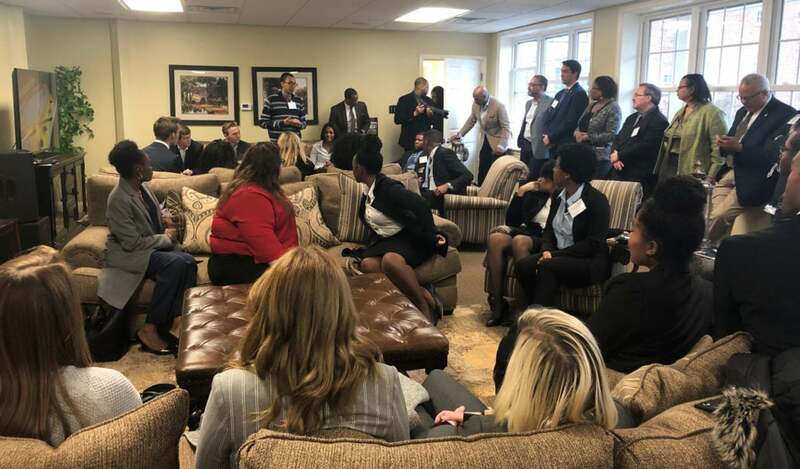 This institutional connection is what sparked the idea of bringing a group from The Heritage Foundation’s Young Leaders Program and a group from The Gloucester Institute’s Emerging Leaders Program to Holly Knoll. Together, we had an open an honest conversation about race relations in America today. The Emerging Leaders Program is designed to strengthen the communications skills of young, motivated Latino and African-American college students. It has produced business executives, entrepreneurs, educators, and authors. It is dedicated in part to the memory of Moton—especially his principles of hard work and responsibility as the best path forward to equality for African-Americans. The day’s main event came at lunch. Heritage and Gloucester students were split into groups of six or seven, and dispersed into different rooms throughout Holly Knoll. Facilitated by both Heritage and Gloucester staff, the groups entered into dialogue about problems faced by disadvantaged groups in America. All who participated expressed positive feedback. The small group conversations lasted about an hour before we gathered together into one large group to share what we had discussed. Students shared that they were able to agree that African-Americans face significant challenges compared to their white peers, and that young Americans have a responsibility to make changes to the systems they deem to be unjust. The students also highlighted how much easier it was to have a conversation with someone with whom they may disagree when sitting directly across the table from them. This was instructive. If any change is to be made in our nation, if any healing is to be brought to the racial divisions in America, we must understand each other’s perspectives and experiences within the same America. When asked if they would be interested in meeting again for an entire day or even for a weekend to discuss potential policy solutions and goals, the students from both groups were enthusiastically in favor. There is no doubt that these conversations were not easy, but they expanded the worldviews and understandings of all those who attended. If American culture is ever to emerge from its current division, we must be willing to confront difference, accept disagreement, and above all, listen. We must do this by living out the shared vision of both The Gloucester Institute and The Heritage Foundation. As Moton advocated, we must empower young people to become leaders and enact positive change in their communities. Young Leaders Program Director Helena Richardson said, “I believe there is a leader in every community.” Moton could not have agreed more. Within the conservative movement and beyond, as long as our young and emerging leaders can sit down and talk with one another, there is still hope for racial cooperation and unity in our country. The conversation between our groups lasted only a few hours, but everyone agreed that it was a powerful experience that gave them hope for the future.